Sun Tzu, the brilliant Chinese strategist, reportedly born in 554 BC, should be studied and read by every adoptee in the United States who is denied equal treatment under the law and their original birth records. 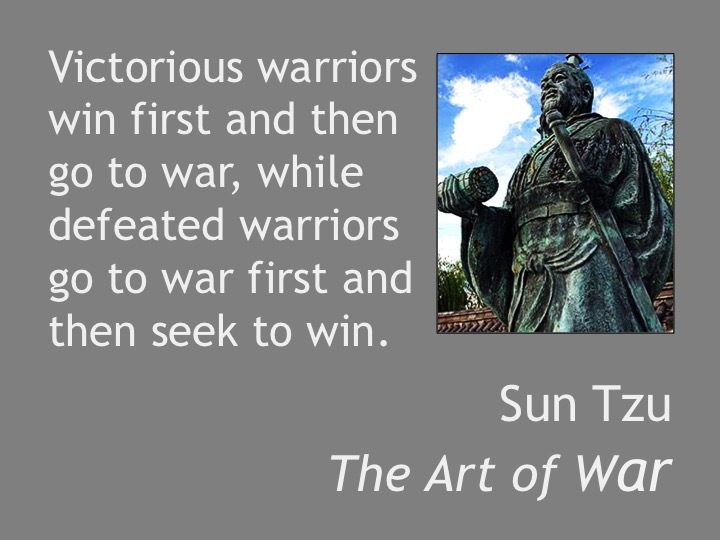 His classic treatise, The Art of War, remains one of the most frequently studied, quoted, and referenced tools in human civilization for anyone who engages in advocacy and, yes, war. Everything is there for the adoptee or birth parent seeking his/her records and past and for advocacy groups seeking reform and justice from a system that denies basic justice and equality to millions. For adoptees who are plagued by insecurity, doubt, and depression about the injustice of discriminatory state adoption laws and historic and unspoken prejudice against illegitimately born people like adoptees, I first recommend drawing from your wisdom and discipline you have gained from your experience. Finding wisdom in books will be meaningless unless you can first put that knowledge into a perspective you have lived yourself. So Why Sun Tzu and an Ancient Text? My tweet to adoptees on preparing for long campaigns for equal rights: read Sun Tzu. Most adoptees will learn that their path to wisdom and later action will eventually require discipline, awareness of one’s adversaries, and adapting successfully from tough experience. Luckily, Sun Tzu provides one of the easiest to access toolkits to guide you as you embark on your journey that only you can make.